Made in the USA by Americas. 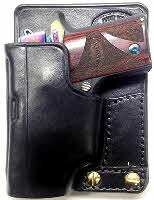 .Handcrafted from Premium USA leather exclusively from Hermann Oak Leather Company. 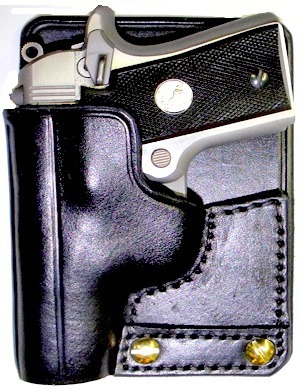 PocketHolsters.com has been committed to providing highly concealable pocket holsters for the concealed carry community since 2002. 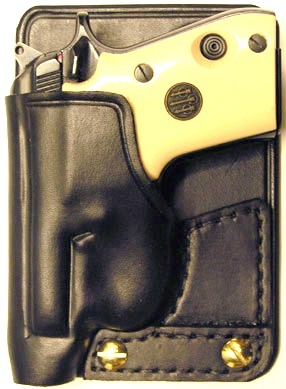 Our mission is to offer a high quality concealed carry pocket holster at an affordable price for all popular concealable auto pistols, revolvers and derringers. 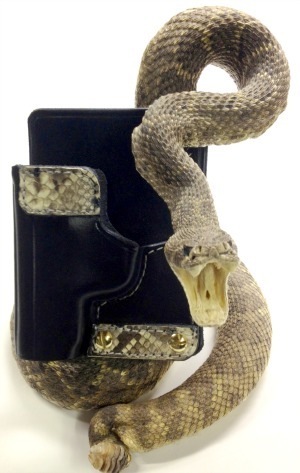 If you do not find the model of your concealed carry firearm here, please check back, as we are continually adding new lines as smaller and more efficient firearms become available. 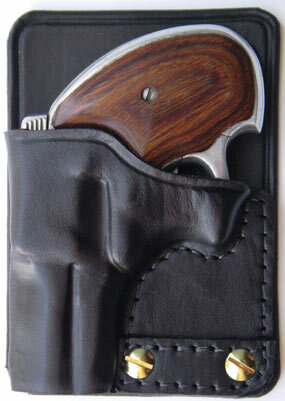 Our current product line includes over 60 firearm models in both right hand and left hand configurations. 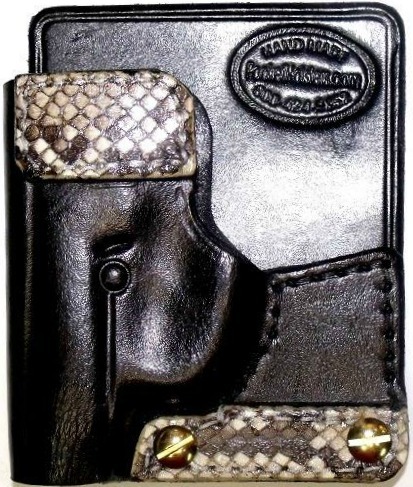 Other Pocket Holster Models are available from the menu on the left. 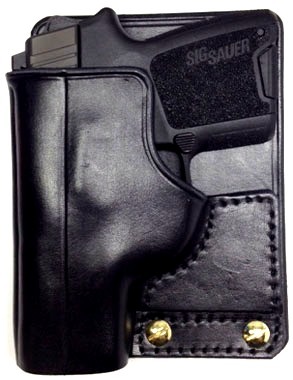 For those of you wanting complete concealment from prying eyes, we now offer a pocket holster with a hinged top flap and non functional brass zipper, giving the appearance of a zipped wallet in your pocket. Great for pants with smaller pockets such as Levi’s and Wrangler jeans. 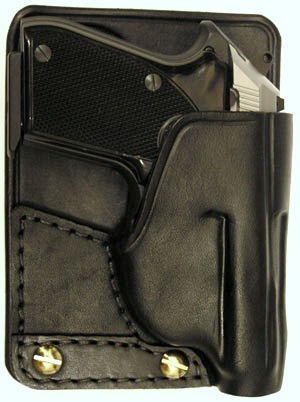 Zipper top Pocket Holsters are not available for all of our pocket holsters, only select models. 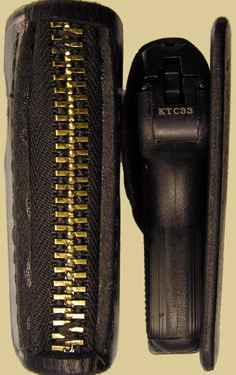 This is the view when looking down on a Zipper model Pocket Holster. 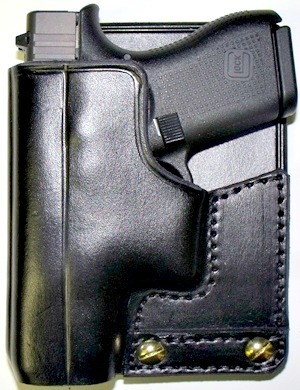 Right is top view of our regular pocket holster.